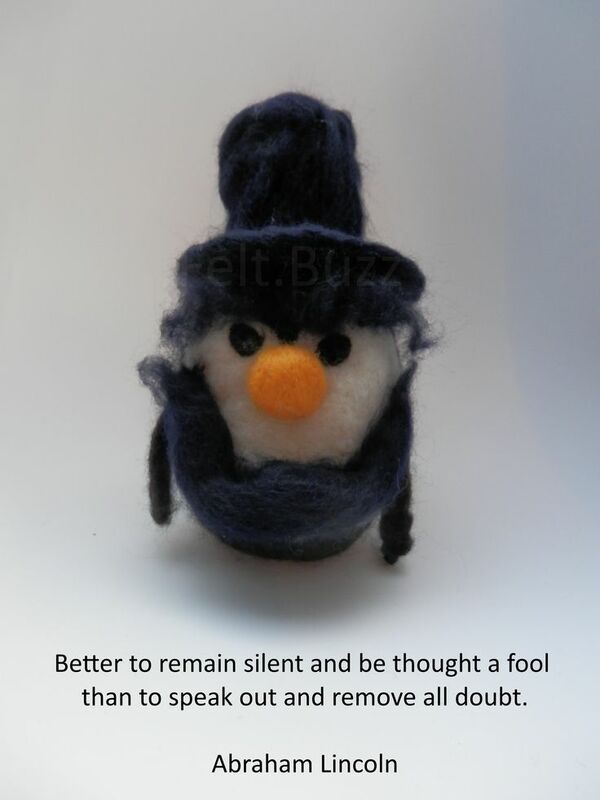 I know it is very early to be thinking about Christmas, but stock doesn’t appear from nowhere – you need to plan ahead. 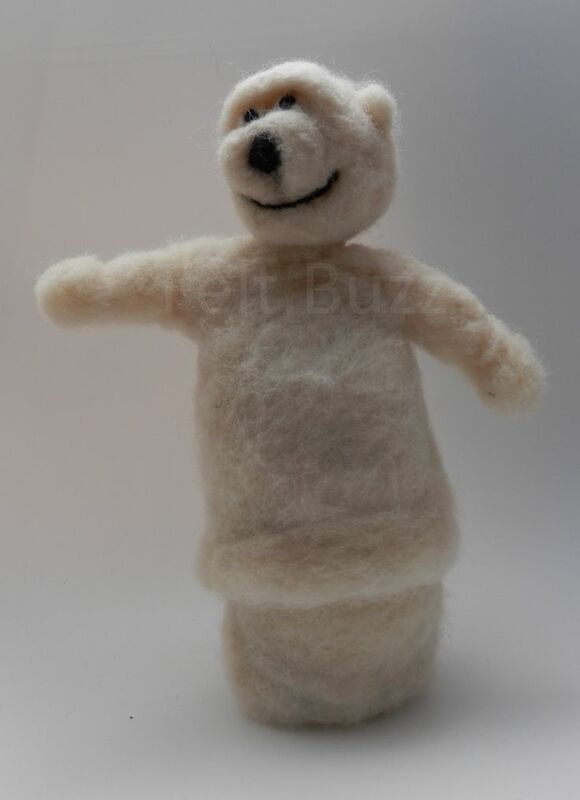 This polar bear has a surprise inside. 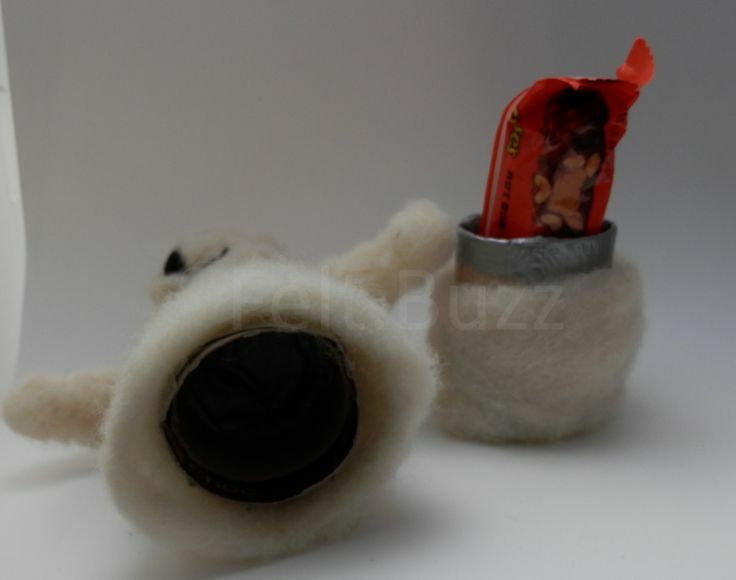 Made with a cut up kitchen roll tube (and gaffer tape: not the most attractive solution, but as I say a prototype). 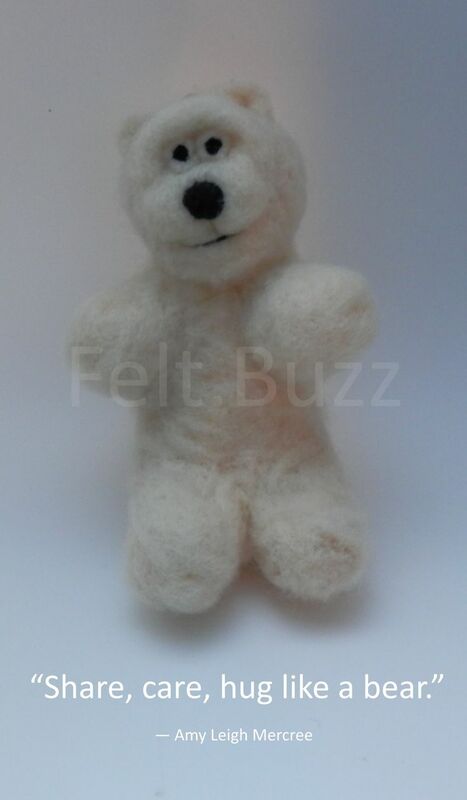 The body (and head) of the bear is needle felted. 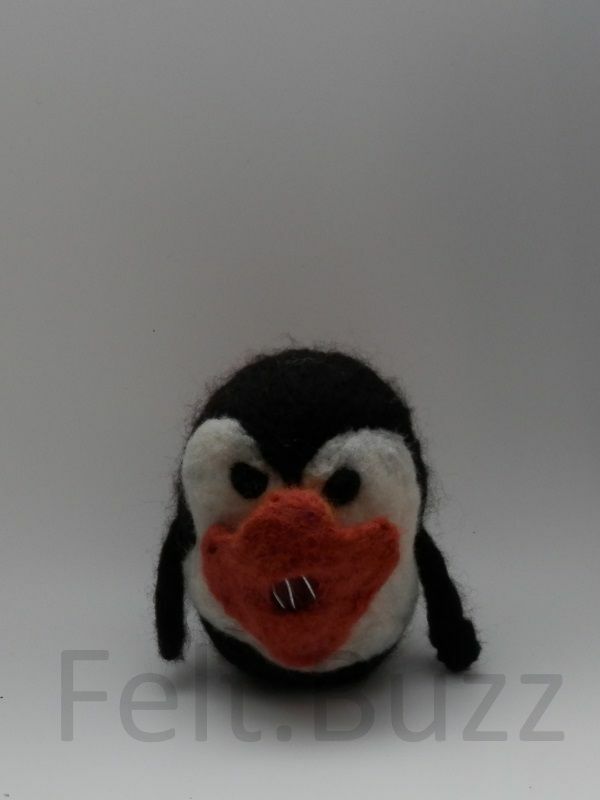 I thought I could also make snowmen, penguins and Father Christmas. 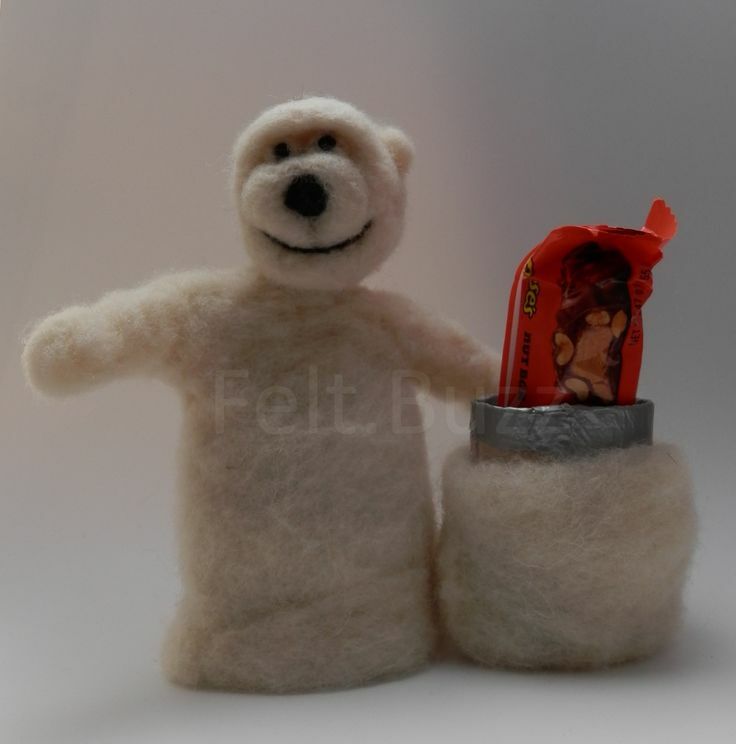 Once whatever treats inside are consumed it can be used to store other things, or the top half can be taken off the tube and used as a (oversized) finger puppet. If you like this post why not pop over to our facebook page and say ‘hi’. 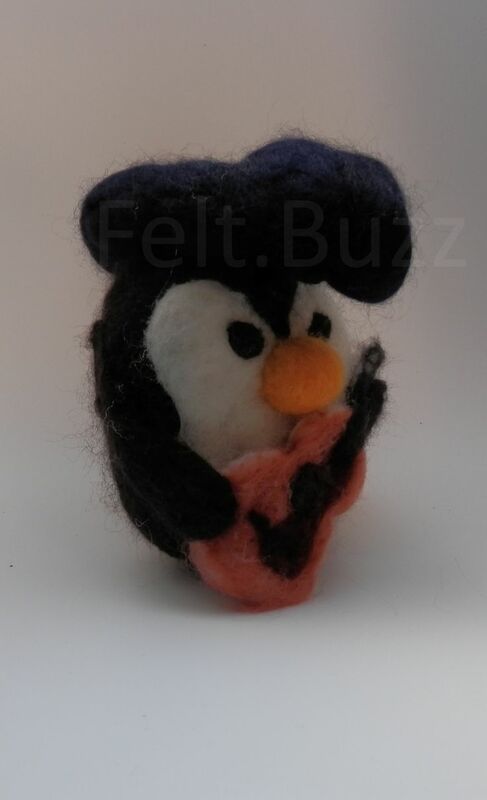 Today, Mr Pengwin has found his outfit from when he used to do his Elvis impersonation. If you like this post, why not pop along to our facebook page and say ‘hi’? 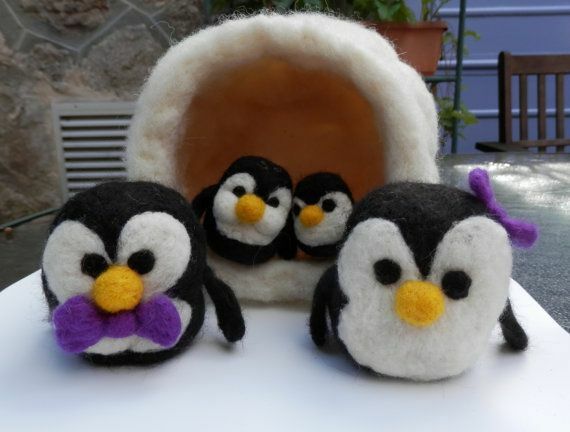 You may have seen the Felt.Buzz family of Penguins and their igloo house. 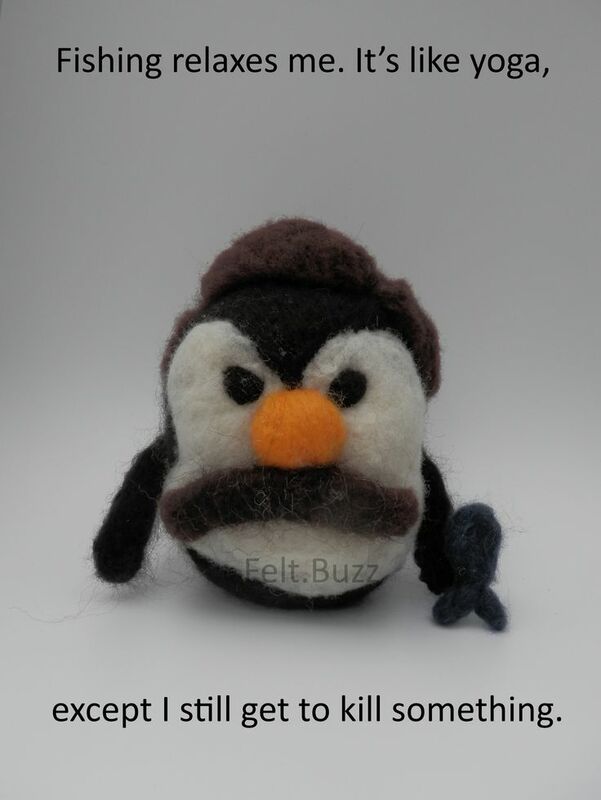 Mr Pengwin has been asked to go to a fancy dress party, and he can’t decide which outfit to wear…. 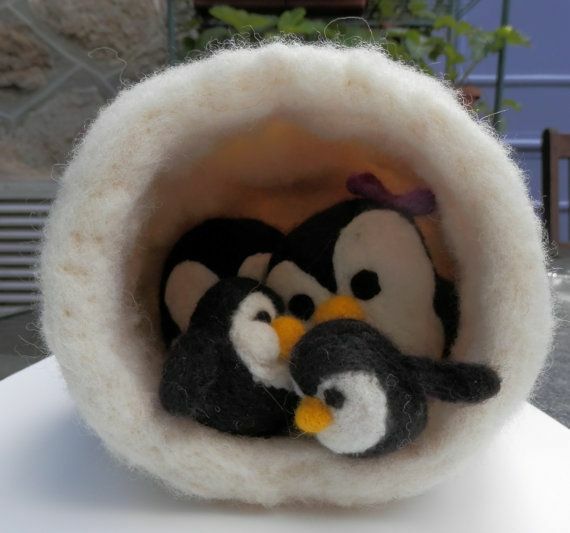 Needle felted Penguin Family complete with igloo house! 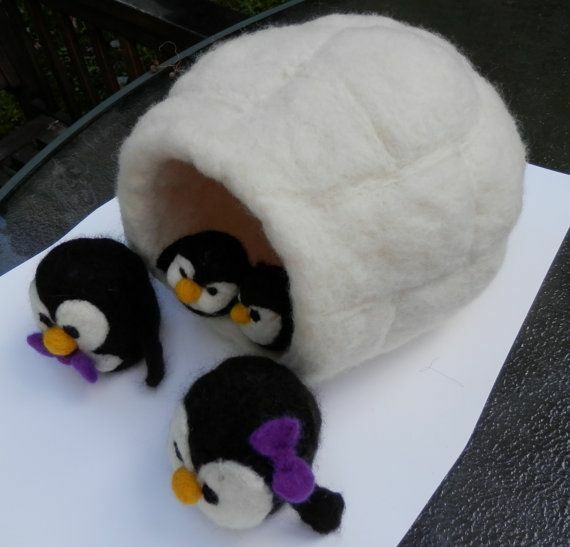 Meet the Pengwins, a cute family of needle felted Penguins complete with igloo house. 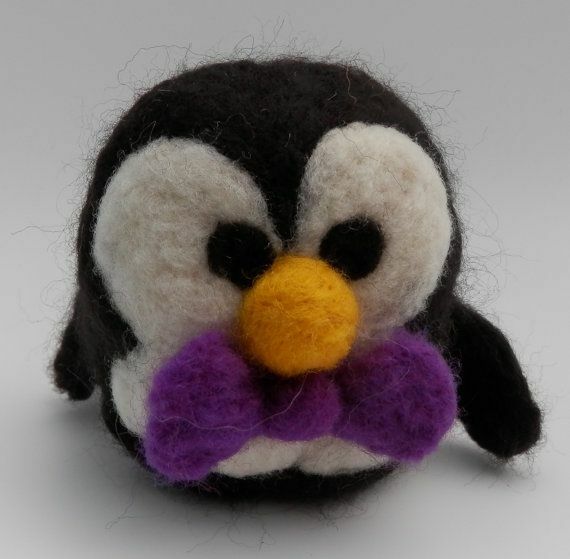 You can buy the whole family (including house) from our Etsy shop. 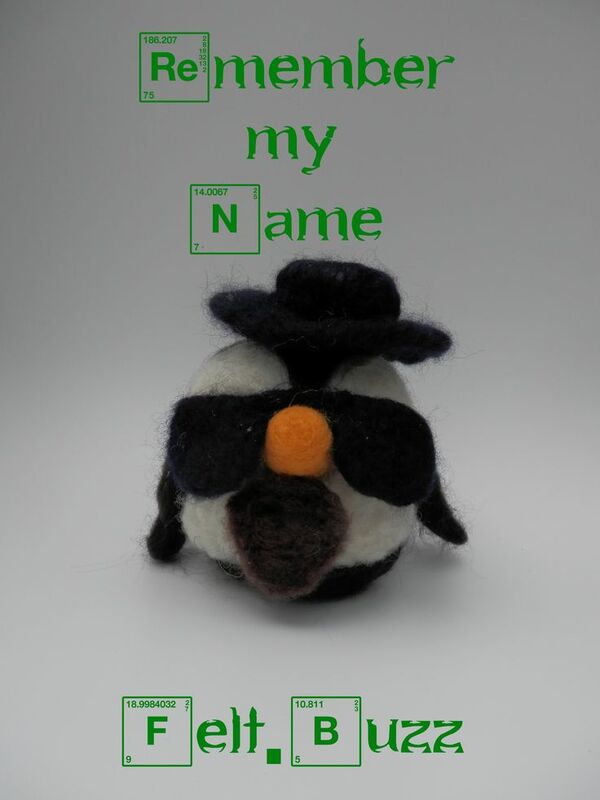 Or if you would like some made especially for you, why not visit us on facebook and send us a message? Meet Amanita Fly the mushroom fairy! 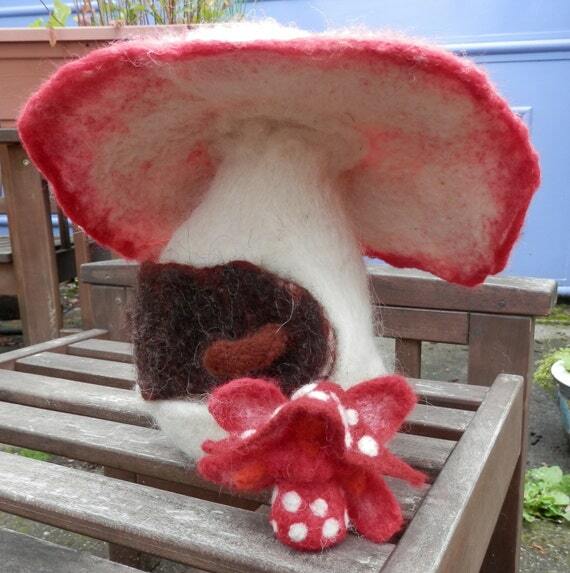 Amanita lives in a fly agaric mushroom house. 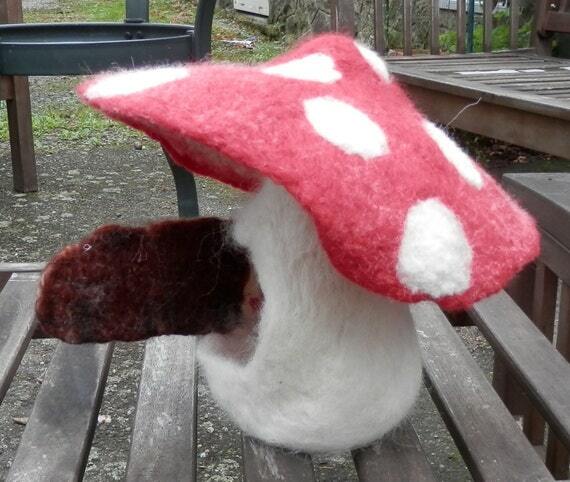 Both Amanita and her house are made from 100% wool. 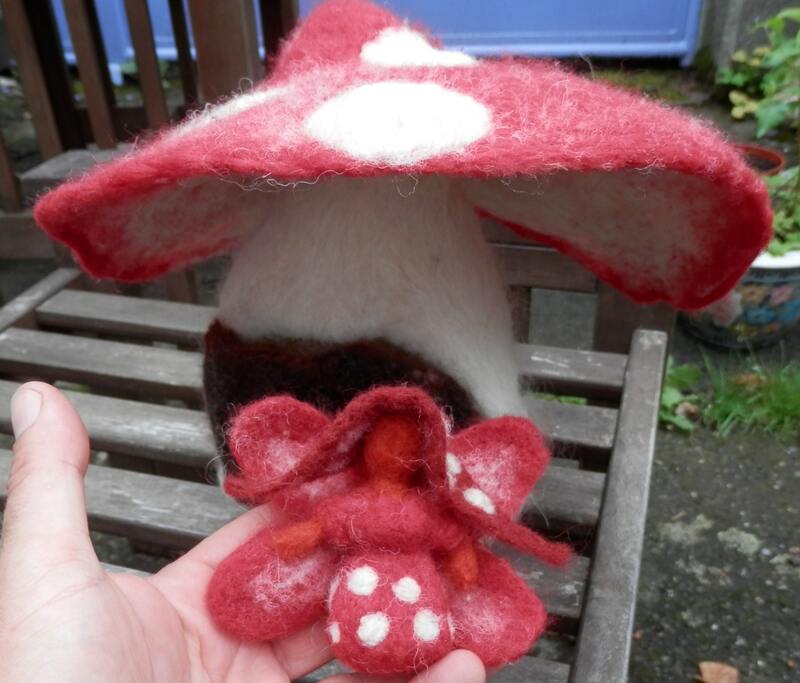 You can buy Amanita and her house from our Etsy Shop. Also in this new range are Patty Marron (the pumkin fairy) and Pomme (the apple fairy). 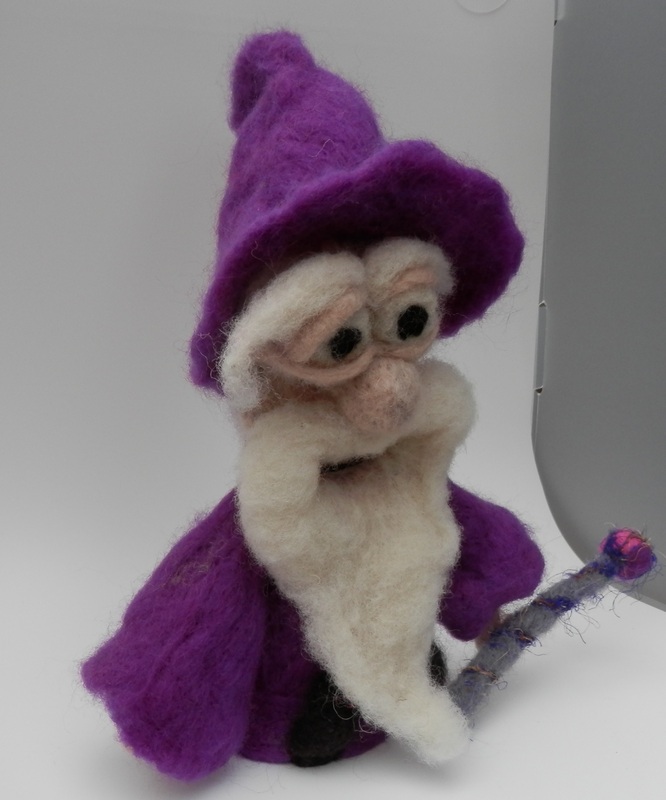 Other fairies will appear very soon…. 1) Despite the heavens opening as we were about to leave the house, the rest of the day was rain free. Actual sunshine and heat: lovely. 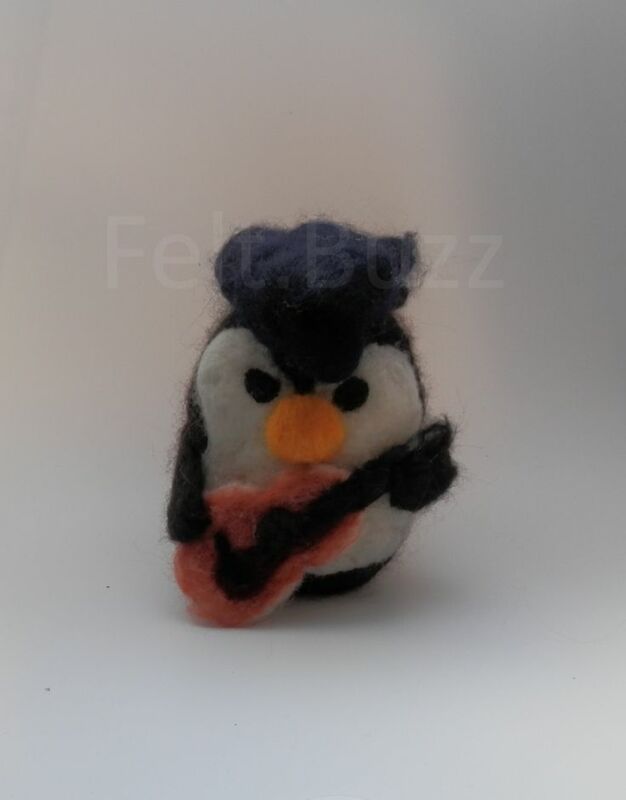 Also, the first Felt.Buzz giveaway ended yesterday so we need to congratulate our winner of our mini witch/wizard hat: well done Gypsy Mortisha Cassavetes!